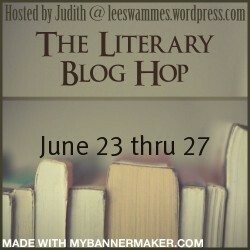 Judith is again running the Literary Giveaway Blog Hop on her blog Leeswammes’ Blog. This time it will take part from the 23rd to the 27th June. The Literary Blog Hop is different because bloggers only give away books with ‘literary merit’. No romance, no Y.A and no urban fantasy. I like this because often I find giveaways fall into these genres, and they aren’t the genres I tend to read. I guess you can say it’s a breath of fresh air. I think it’s been a while since I last did a giveaway too so I’m looking forward to this one. Thanks for advertising the blog hop, Lucy. And great that you’re joining again!